Holiday Parties for Friends and Family! Before you go any further, have you checked out our previous post – Holiday 2018 Party Planning? Holiday 2018 Party Planning begins now! Have you made that checklist? Then, you are ready for the fun part. Of course, you can combine whatever colors work for your theme, home and/or event space. You can mix it up or keep it monochrome. Pastel? Bold? Or neutral? Have some fun with your party’s decor! Ask your Bergen Linen team member about your options in color, sizes and textures. We will be happy to review our swatches with you. 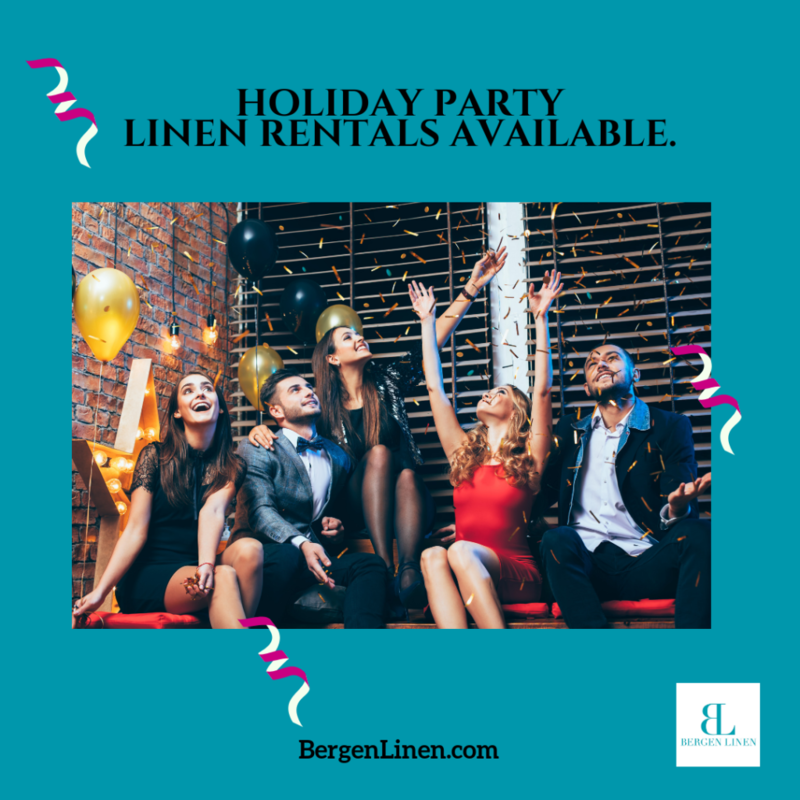 Linen rentals can be completed quickly, but we suggest you call ahead; the holiday season is one of our busiest! Email info@bergenlinen.com or call (800) 789-8115. Are you ready to place your order? You can email order@bergenlinen.com directly. Please include color(s), fabric, sizes and quantities. We look forward to hearing from you.